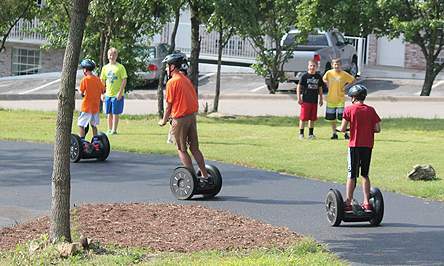 Feel the excitement of riding an amazing Segway® PT at the Branson Segway and Adventure Center. We’ve made it safe and easy for family and friends to come and play on our free-roaming track. Everyone loves the sensation and freedom a Segway® PT offers. Come see for yourself today! What is Branson Segway Adventure? At Branson Segway, we offer more than just a fun ride on a Segway. Our Adventure Center is staffed with local experts that can help you find and book other fun things to do in Branson. 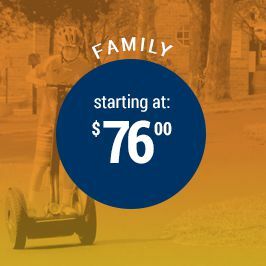 The Adventure Center is backed by Myer Hospitality and offers fun beyond just the rides here at Segway. 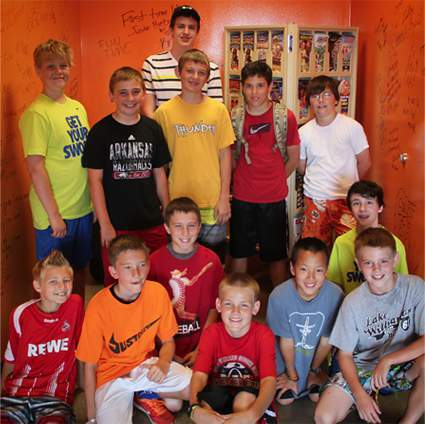 Call us today and find out more about our Adventure Center and what it has to offer. A Segway® Personal Transporter (PT) is a self-balancing device and its name is derived from the word “segue” which means, “follows.” The motorized scooter uses gyroscopes to remain upright and is controlled by the direction in which the rider leans. Riders lean backward, forward and to the left and right using a thin handlebar attached to a pole. We Love Groups! 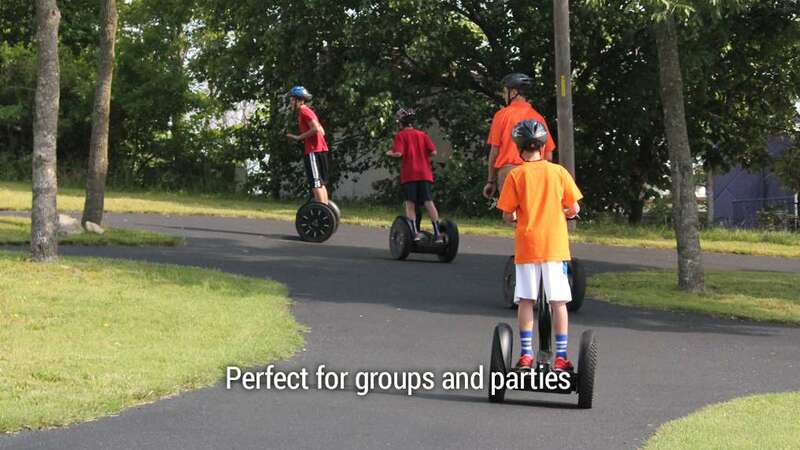 There is no place more unique to have your next gathering or event than at Branson Segway & Adventure Center. We want to help create great memories for your group event. Whether it’s a family reunion, student trip, or even a bachelor or bachelorette party, groups love the sheer fun of a Segway® experience. We’ll even rent out the whole facility for your next event. Meeting offsite? We may be able to provide all of our Segways at your location. Call us to discuss your requests. 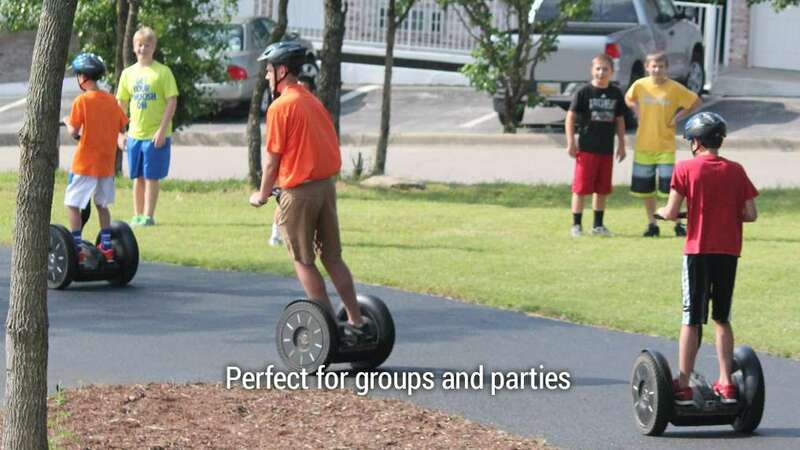 Segways are great because they let friends and family enjoy each other while still offering entertainment. Many locations offer great activities, but are so loud and distracting that it makes it hard for everyone to engage equally. 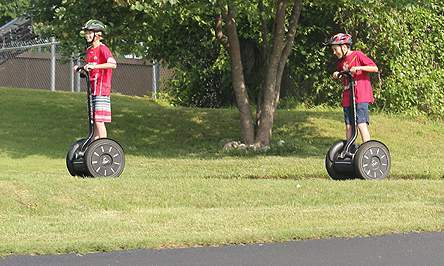 At Branson Segway, the environment allows for easy guest interaction and most of all, fun! 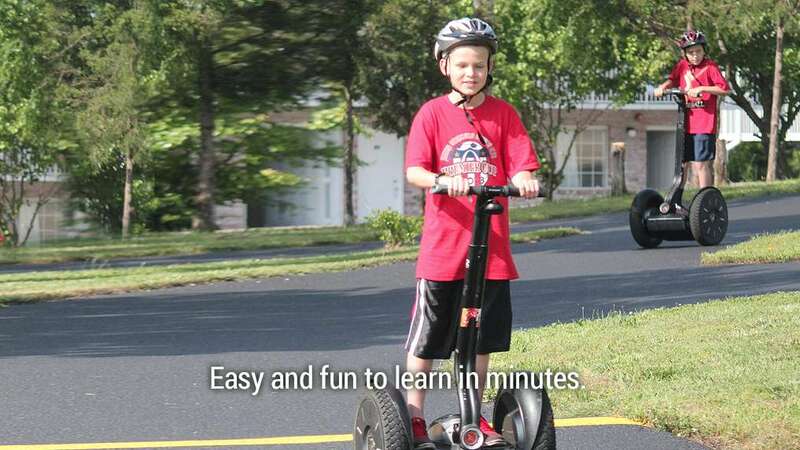 We’ve made it easy and affordable to enjoy a one-of-a-kind Segway® PT. If you have questions or concerns, please contact us so that we may help. We are not a Segway tour – we offer a free ride track where you ride where you please. We think our guests have more fun this way at a fraction of the cost of a traditional Segway tour. Check out our packages below and experience the ride of a lifetime! Our level 1 is for those that are interested in experiencing the Segway® PT. We like to call this our “test drive” package. The level 2 is for folks that want more time to play with the Segway® PT. We call this level our “joy ride” package because of how much fun you’ll have. Level 3 is for those of you that want as much time on a Segway® PT as possible, we have our “can’t get enough” package. Ask about our family specials! Attention! Must be 85 lbs. – 275 lbs to ride.